The Contemporary Beauty Collection is well known for quality, style and value; this contemporary flush mount is no exception. Expertly pairing a charming polished chrome finish and easy to find incandescent bulbs, this fixture is both functional and picturesque. 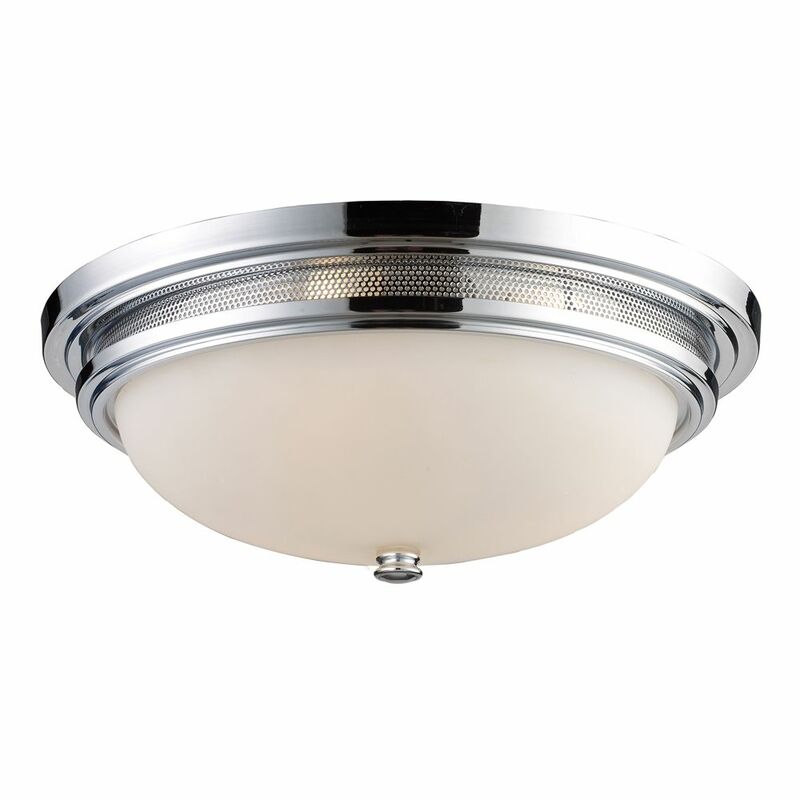 This well-rounded flush mount is sure to satisfy your indoor lighting needs. Add a bit of sparkle to your day with the Alissa. Scintillating and sparkling, perfectly cut layers of dazzling crystal pendants drape from a polished chrome frame, a luxurious work of art. Mounting hardware included for quick installation. Vibrant And Unique Crystal Collection With Stunning 32% Leaded Crystal. Finished In A Polished Chrome Finish. A Unique Design To Fit Any Dicor. 3-Light Ceiling Mount Polished Chrome Flush Mount This Collection Exhibits The Same Beautiful Detailing As A Chandelier, But In A Smaller Size Suitable For Lower Ceilings And Smaller Spaces. Each Item Has An Attractive Banding On Top With White Satin Glass And A Decorative Finial. Various Styles And Finishes To Match Your Dicor.